The BCBA® Supervisor's Manual and a supervisor version of the RBT® Course. This version of the course is for supervisors of staff who are completing our 40 Hour RBT® Training course. It is an open, or unlocked, version which allows a supervisor to review the training or refer to a particular section that one of their candidates may have questions about. This product does not come with any quizzes or practice exams or completion certificate. You will not be able to use this course to complete the training requirement of the RBT® certification. This will also include the BCBA® Manual for the RBT® Course. The BCBA® manual for the RBT® Course is specifically designed for BCBA®s or BCaBAs who are supervising staff while they take the Behavior University RBT® 40 Hour Training Course. This manual provides a summary of each topic in our RBT® 40 Hour course, an overview of all the activities, plus extension questions and activities to use during supervision with your trainee. This is PDF file available for immediate download upon purchase. It will help you prepare your candidates to earn their RBT® This BCBA® manual is free to BCBA®s and organizations purchasing 10 or more of our RBT® courses. This course is available for free to BCBA®s and organizations purchasing more then 5 RBT® courses. 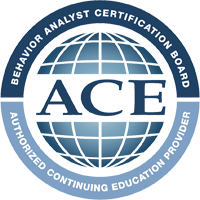 Please contact us at info@behavioruniversity.com for access if you have purchased RBT® courses in bulk. (English Version)This training program is based on the Registered Behavior Technician Task List and ..
Este tratamiento está basado en la lista de tareas para técnicas de conducta registrados y está dest..